New certification awarded for new PPE regulation. JSP, Europe’s foremost independent manufacturer of above-the-neck personal protective equipment (PPE), was first past the post in the UK and Europe after being awarded BSI Certification to the new PPE Regulation for a range of protective products. 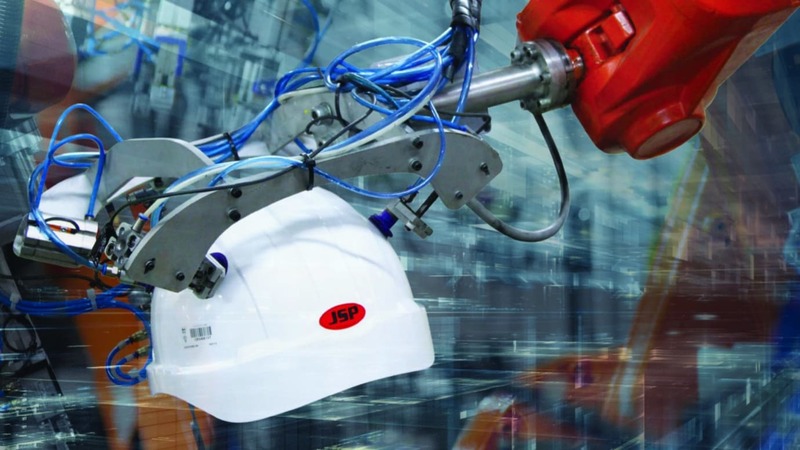 JSP has received an unprecedented four BSI CE certificates for its EVO2®, 3, 4, 5 and EVO® Full Brim industrial safety helmets, as well as its Force™8 half mask and PressToCheck™ P3 Filters, which enable wearers to easily and reliably check the face-fit of their half mask, and its Sonis® hearing protectors. Always well ahead of the game, JSP has ensured that customers buying a JSP product today can have total confidence that it is future-proofed and complies with the new PPE Regulation (EU) 2016/425, which replaces the old PPE Directive. They can be sure that all new JSP products will continue to meet the new Regulation – the entire JSP range will be certified to the PPE Regulation by its enforcement date of 21 April 2018, many years ahead of the 2023 official deadline. Matthew Judson, Technical Director at JSP said: “Always first off the mark in ensuring safety, JSP has gained advanced certification from the BSI across a large selection of our world-renowned products, including head, hearing and respiratory protection. “Gaining this important certification means that all JSP products will legally be able to be sold in both the EU and the UK, and demonstrates our total readiness for the coming Regulation, well before we need to be by law. It is a huge achievement for the company, and one for which we have worked extremely hard. JSP customers will therefore never need to have any worries about product compliance. More information is available from JSP.co.uk, by emailing uksales@jsp.co.uk or calling +44 (0)1993 826050.